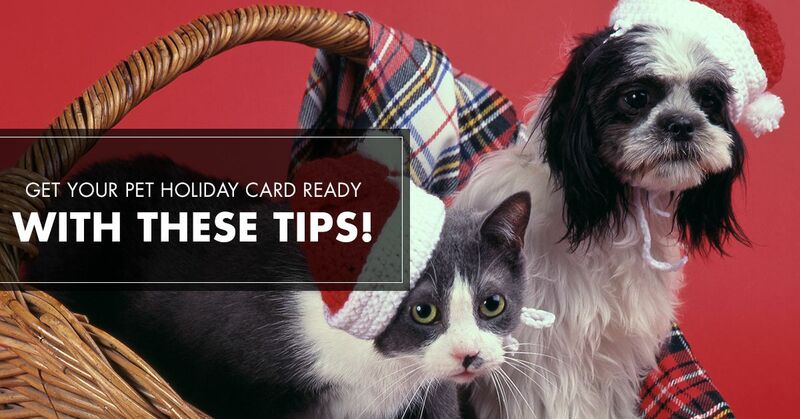 Get Your Pet Holiday Card Ready With These Tips! Every year, families across the country compile the best photos of the year, or get together for a photo shoot to get their holiday cards ready. These are the photo-printed cards that adorn many a refrigerator or fireplace mantle, and are a colorful synopsis in snapshot form that let your loved ones know how you’re doing, and to wish them well. Since your dog or cat or chinchilla is of course a part of your family, it only makes sense that you include them on the fun! Felix or Fluffy deserve to be in the photo shoot, and there are some easy ways you can make holiday photography a fun and easy process that lead to incredible memories that last for years to come. Take a look at some ways to bring your pet ready for the holiday cards and photos with these tips, and stop by one of our Royal Pets Market & Resort locations today! Before you start with the photography fun, it’s important to paws and think about getting that perfect pose. If your greyhound or goldendoodle struggles to take a photo, you need to go bark to the basics before thinking of fun colorful ribbons or holiday bows to try out. As GoPet Friendly talks about, work on teaching sit and stay for your pooch as the first step. Eventually, build up to teaching an attention command, which will make it easier to capture the perfect picture of your pet. Keep practicing both skills, not just when a camera is around, use treats appropriately, and you’ll be well on your way to having a dog that doubles as a model. Cats are not often trained to the extent that dogs are, but you can perhaps garner their attention through some flashier or moving object—tinfoil, string or ribbon could all be potential things to get your feline looking flawless. Keep in mind that this strategy can’t be overused, otherwise your cat might become bored and go back to the regular bouts of apathy that we know and love. Is there anything cuter than a dog wearing a sweater vest or a cat wearing an elf outfit? There’s not, which is why the holidays are an excellent time to get your pet outfits in order. You could have their outfit be a standout, like a French bulldog with the perfect little Santa hat resting asymmetrically on their perfect little heads, or you could sync up your outfits as a family! Have everyone in the family wear an ugly Christmas sweater, and get one for your pet as well. This will make for a next-level holiday card, because who doesn’t love seeing pictures of dogs wearing adorable outfits? That being said, make sure your pet is comfortable—you can always try out an outfit, but if they’re really not into it, you don’t want to force anything. 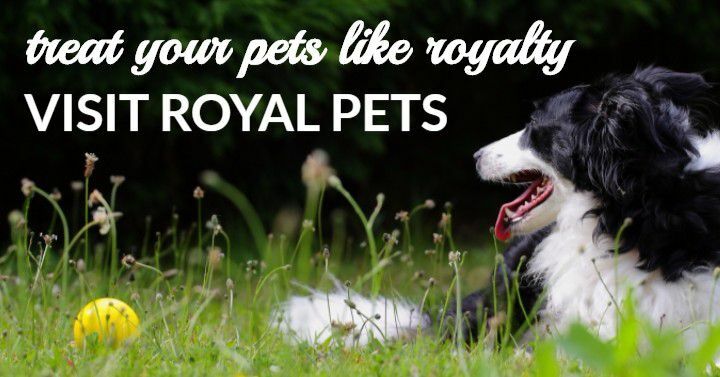 For something simple that’s also healthy for your pet, take them to Royal Pets Market & Resort for dog grooming! You can opt for a precious holiday bow or some corresponding hair ribbons that would look excellent for the holidays—as well as for your season’s greeting card. The cat and dog groomers at our pet store are the best way to help your animal maintain a healthy coat, while also getting decked out for the holidays. 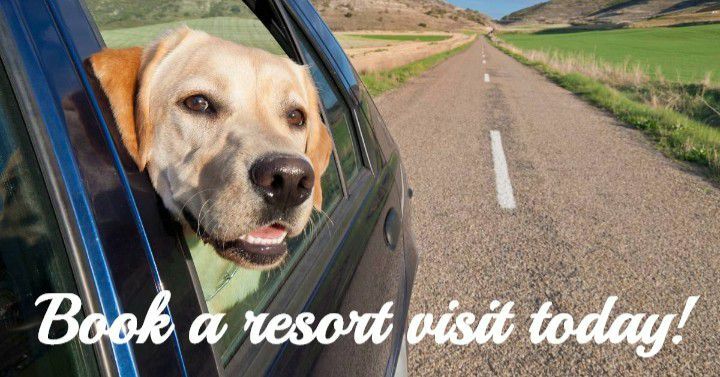 Whether you choose to visit our St. Petersburg, Palm Harbor, or Apopka location, you simply can’t go wrong with visiting our pet store. 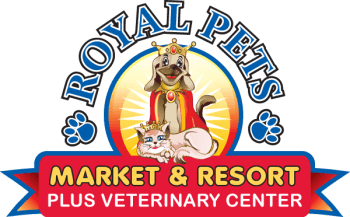 Stop by Royal Pets Market & Resort today to get your pet set up for the holiday photo shoot; we’d be happy to help!